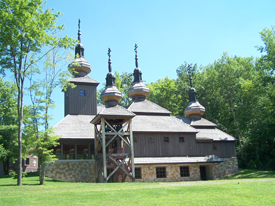 MERCER, PA — Camp Nazareth and Orthodox Christian Fellowship are proud to announce the “Second Annual Overcome the World College Retreat,” will take place at Camp Nazareth in Mercer, PA on May 19-21, 2013. College Students are invited to come and recharge their spiritual batteries, make new friends and experience Orthodox Christianity in a deep manner. There will be guest speakers, group workshops, evening social events, food, fun and plenty of opportunity for faith enrichment. This year’s theme is “If anyone desires to be first, He shall be last of all and servant of all.” (Mark 9:35) Retreat speakers include, but are not limited to: His Grace, Bishop Gregory of Nyssa, Fr. Thomas Hopko and Mother Magdalena from the Monastery of the Transfiguration in Ellwood City, PA. Overcome the World is designed specifically for college students, by college students. Space is limited, so register today and join in on the journey to “Overcome the World.”Don’t miss out on an amazing opportunity to make new friends, deepen your faith and have fun in Christ before getting into your summer schedule. To learn more about the College Retreat and Camp Nazareth, an Apostolate of the American Carpatho-Russian Orthodox Diocese of the USA, visit them online here.